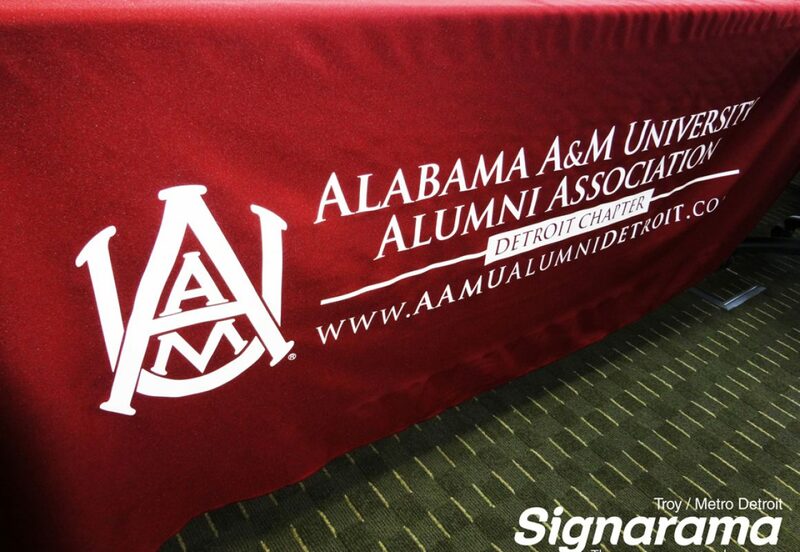 Signarama of Troy is your top supplier for trade show displays & exhibits! 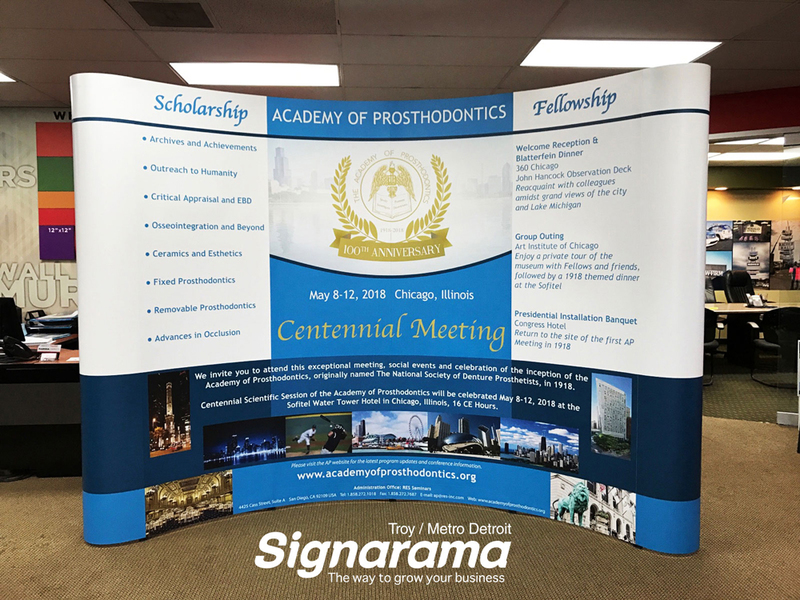 Our extensive trade show signage catalog offers solutions from standard retractable banners, to full multimedia displays. 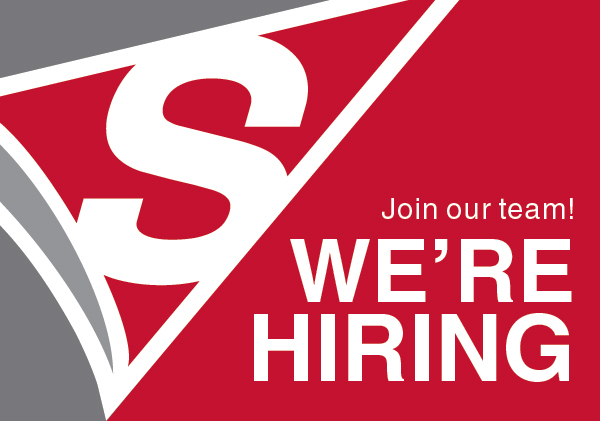 Any trade shows your company attends, you want to make sure that your booth stands out; that's why at Signarama Troy our experts are trained to assist you in every aspect of trade show exhibiting! One of our most popular options is our pop-up display. This display includes a full backwall with a hard-carrying case that can also be used as a podium. 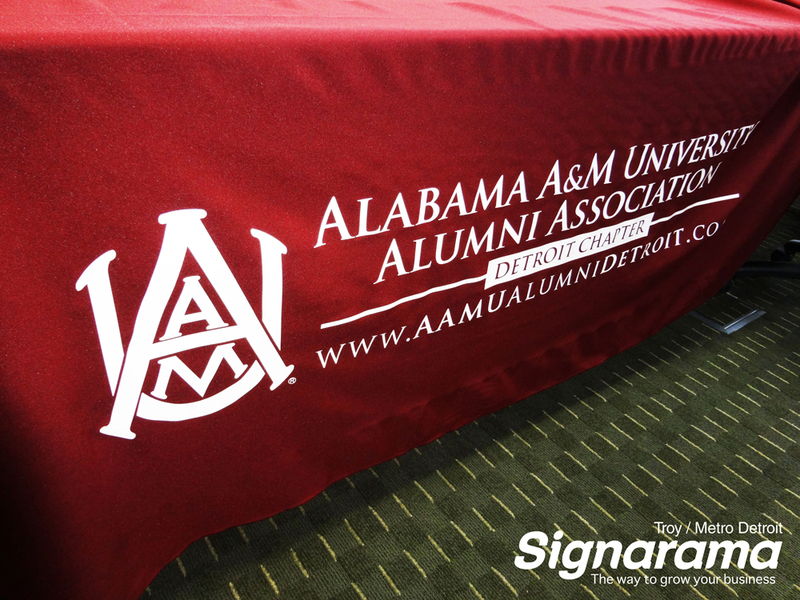 We can even print custom graphics to wrap around! The total assembly time takes less than 20 minutes making our pop-up displays a great choice for any type of trade show! Let our trade show signage experts take the stress out of your event planning. 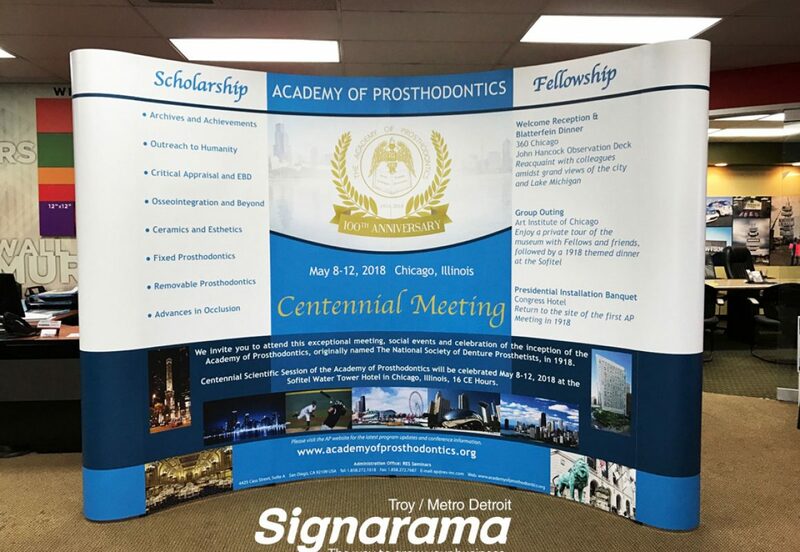 From product suggestions, to full design services, to printing & manufacturing, Signarama of Troy / Metro Detroit is the place to elevate the stress of your event planning!